I have been a busy, busy bee lately so I have to apologize for my lack of blogging. Not to mention I came down with the dreaded mom cold over the weekend and am just finally starting to feel human again. So, real quickly I thought I’d show one of my recent client design boards. If you follow me on Instagram you know I mentioned recently that I have a few clients wanting coral nurseries…and I love it, cause I’m not a pink kind of girl, so coral is just the right shade for me. 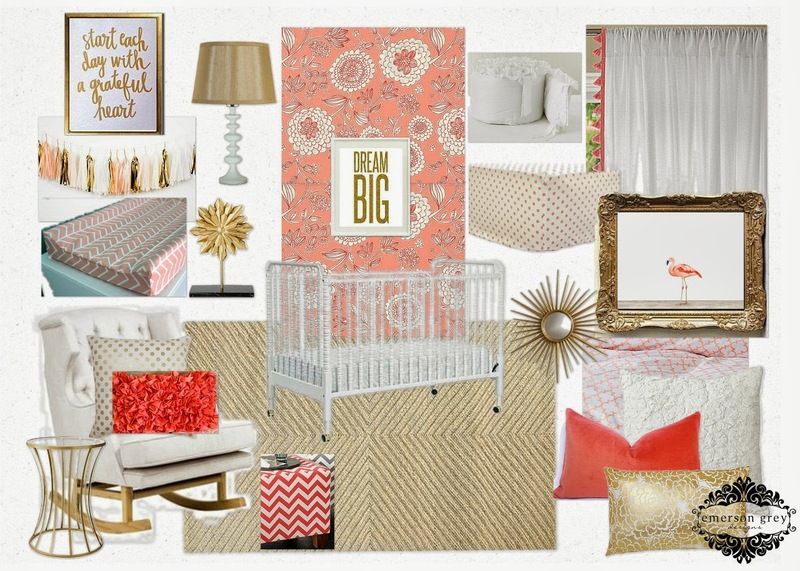 I love how this coral and gold nursery turned out. Without you knowing the layout of the room, its hard to explain how this will all come together. I can’t wait to share with you all the completed photos…until then, we all just have to wait!